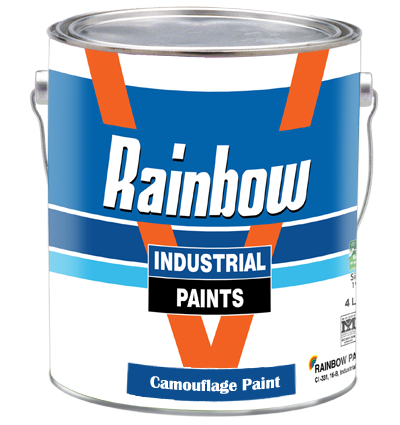 Camouflage paint is especially developed to meet the requirement of camouflage specification and gives excellent light & weather resistance with egg shell finish. Sand down the surface and apply Two coats of Red head primer or other suitable Primer then over paint with two coats of camouflage Paint with interval of 16 hours between coats. Remove all dust dirt lose material and apply 2 coats of paint with interval of 16 hours for proper dry. Composition: Based on high quality alkyd and light fast pigments and extenders. Covering Capacity: 300 – 325 Sq Ft. /Gallon.